Welcome to a strange and beautiful world where evil characters, bizarre creatures, and magical spells lurk in the darkness. Locke D Averam is Revenant, a resurrected warrior from an earlier age, summoned back by a powerful warlord to rescue his abducted daughter. Remembering nothing of his earlier life, Locke slowly recovers his fighting skills as he explores shadowy catacombs, collects magic objects, and battles a myriad of deadly monsters. Dynamic, action-packed gameplay requires tactical thinking to explore, interact, solve puzzles, and engage in brutal combat scenarios. Multiplayer fantasy gaming can involve up to four players. The game features more than 40 characters, each with multiple weapon types and its own fully animated style. 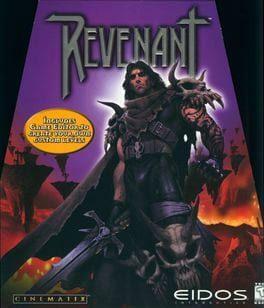 Revenant is available from 5.49 to 5.49 from 1 shops.